FFS510 that can Stacking supplied from one stage of the product | Inline Feeders | FUJI MACHINERY CO.,LTD. This vertical buffer system uses a buffer device that assimilates the capability difference from the previous process, and has specifications for single-level to multiple-level stacking and dispensing of products. Up to 300 rpm *Differs depending on the inflow amount and product shape. 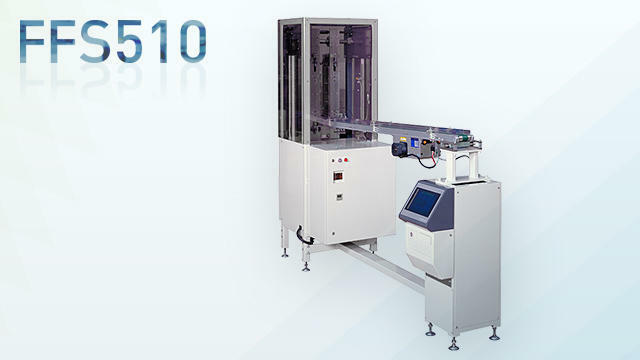 This device accumulates products that come from the previous process individually and dispenses them to the following process without interrupting the line flow. *Contact FUJI MACHINERY about the product shapes and dimensions.